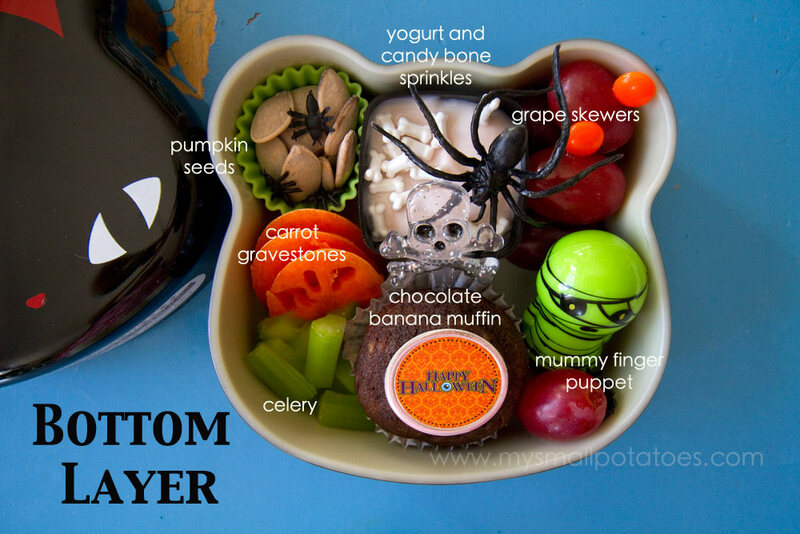 We are back and we are here with a spooky Halloween themed lunch for your little one! 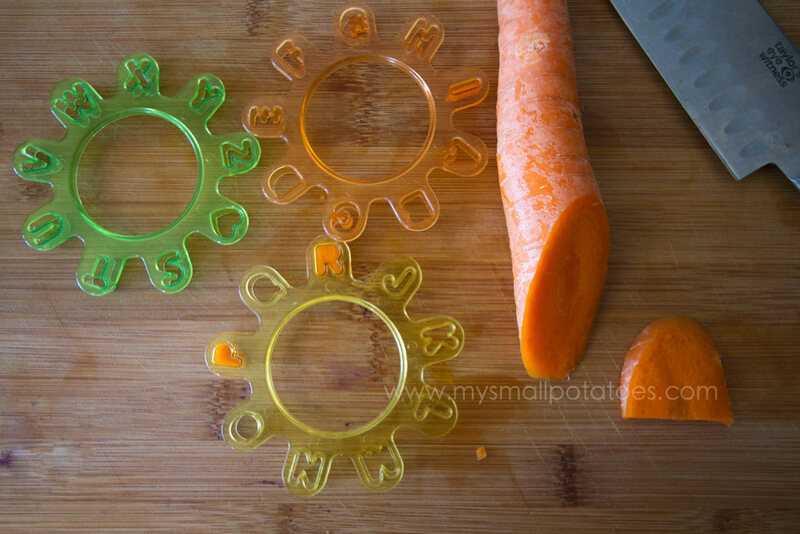 It’s super simple and made mostly with bits and pieces I found at our local dollar store! 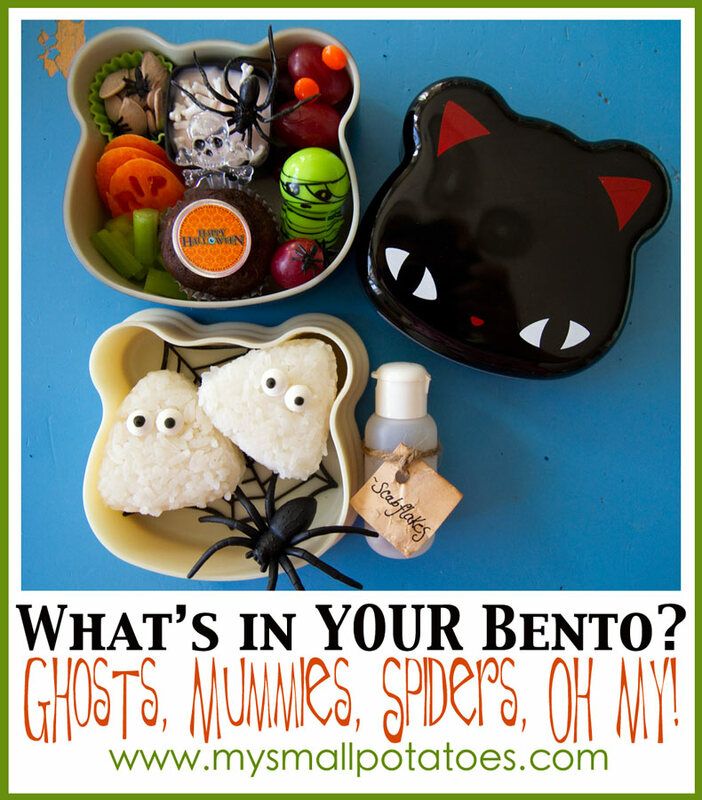 Where I can, I will include the link to where I purchased some of the bento items online. But you’ll be surprised how many little Halloween doo-dads there are out there at your local craft or dollar store! Let’s get started! We will start on the bottom layer first… I added little tiny plastic spiders to the cup of pumpkin seeds and little candy bone sprinkles (from Michaels) to the yogurt. I found the skeleton food picks at our dollar store AND at Michaels. The sticker on the muffin is from the dollar store, and so is the little mummy finger puppet. The orange food picks were purchased online at bentoUSA.com. *The trick is to pack your bento tightly as if you were sending a package in the mail. If it’s packed tight, the contents won’t shift around as much and the lunch will arrive at school mostly intact. 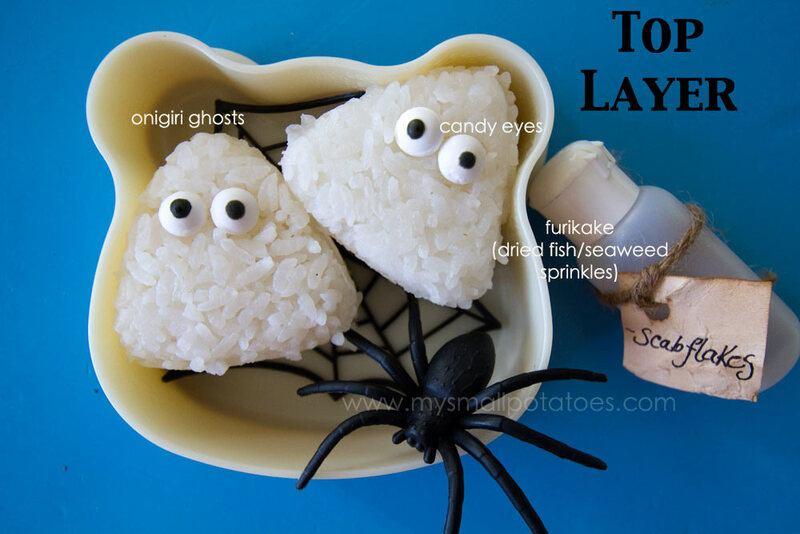 So don’t be afraid to fill all the nooks and crannies of your child’s bento. The time and attention you put into your child’s lunch does NOT go unappreciated, trust me. 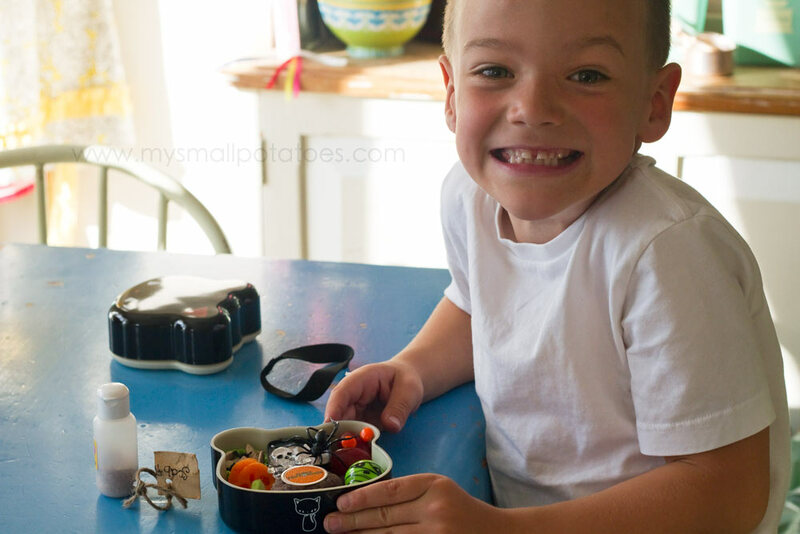 My kids often tell me their “lives were SO BORING” before I made bentos for them! So don’t be overwhelmed, just have fun! It’s like scrapbooking…but with food! Happy Bento-ing! And Happy Halloween! 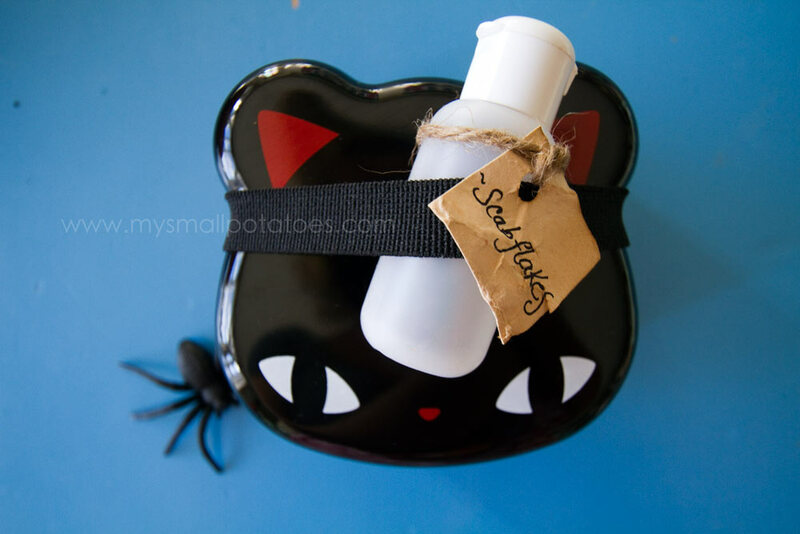 *The black cat bento was purchased HERE at bentousa.com. P.S. 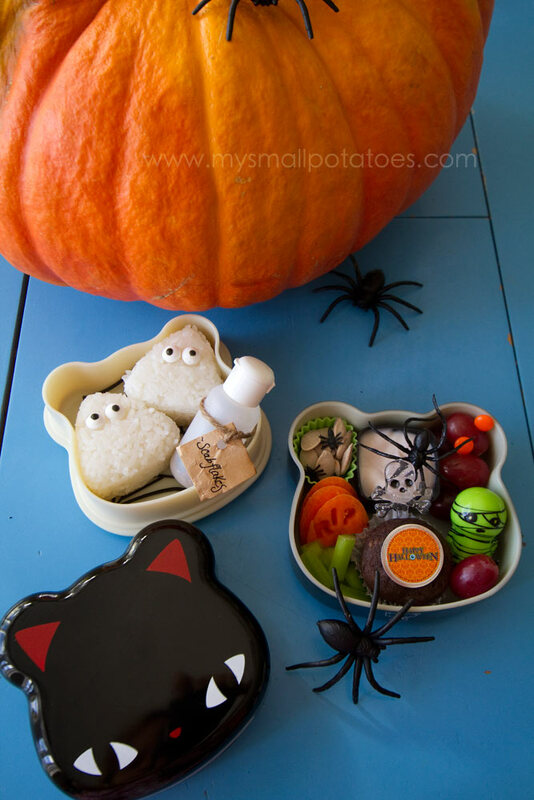 Pop on over to Bonbon Break to see our other Halloween bento lunch this week! 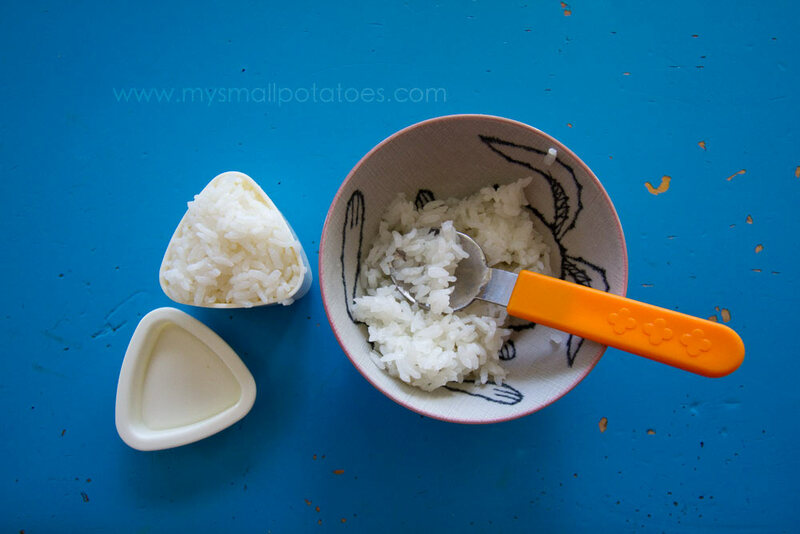 Posted in Bento Boxes, Cooking, creativity, DIY, Early Childhood, Food, Fussy eaters, Halloween, Inspiration, Japan, Lunch, Meals, Nutrition, picky eaters, Uncategorized, What's In YOUR Bento? Wow, great! 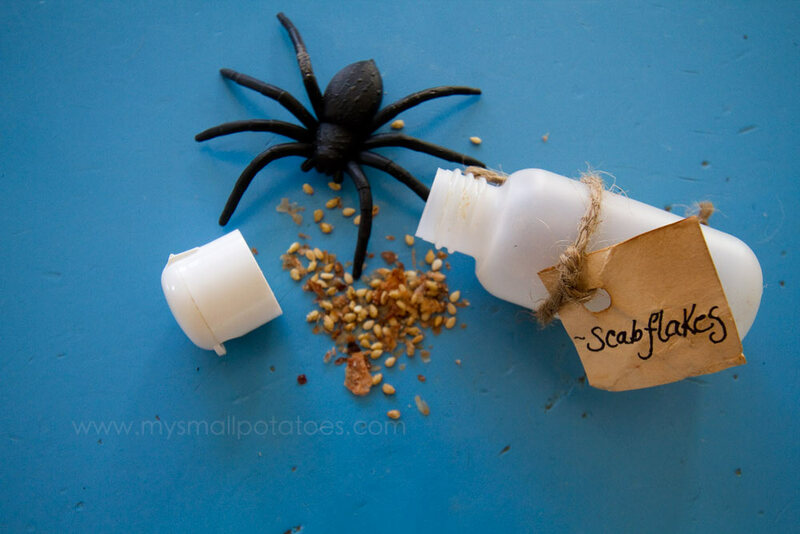 Thanks for the idea, I might try to make something like this for my kids… Scab flakes? Oh my! Hehehehe! My son was equally amused and grossed out by that label! It is so nice to see you back! Great bento! I was curious if you were affected by the flood in Alberta? I thought that might have been the reason you were not on for a while. Thank you!! I was not affected, although some of my friends were. I took the summer off and then I had a complete hard drive failure. All my photos for the last 2 yrs…gone. Including about 10 posts worth of pics. 😦 Anyhow, the files are being recovered and should be back here soon!! Oh no, that must have been an extremely bad day 😦 I hope all of your files are restored for you! Can’t wait to see your upcoming posts! Would i be able to contact you and ask you a few questions about blogging stuff via email or fb? I’m starting one and I’m not so confident…lol. Hi Bento-mentor! I’m curious—how do you keep lunches cool? Am looking to buy bento boxes for my kiddos as a Christmas gift, but none of the cute ones look like they’d accommodate ice packs/etc. It gets pretty hot here in spring/summer, and early fall. Thoughts anyone?!? You can buy cute little ice packs separately 🙂 I also use insulated lunch bags so I can pop the ice pack in there instead of trying to cram it in the bento box.